My birthday is right around the corner and, like I did last year, I’m asking everyone to help me support a cause that’s bigger than me. For my 24th birthday last year, I received an unforgettable gift as I watched my friends, family members and some people I hardly knew support my mission to raise money for global education. That birthday topped parties, fancy dinners and even skydiving on my list of most memorable birthdays so I’m going to do it all over again. This year, I’ve decided to campaign for clean water in the developing world with an innovative non-profit I admire–charity: water. Help me reach my goal of raising $1,500 by making a $25 donation to my 25th Birthday Campaign. Hopefully, you’ve caught on to my inspiration for today’s post by now. 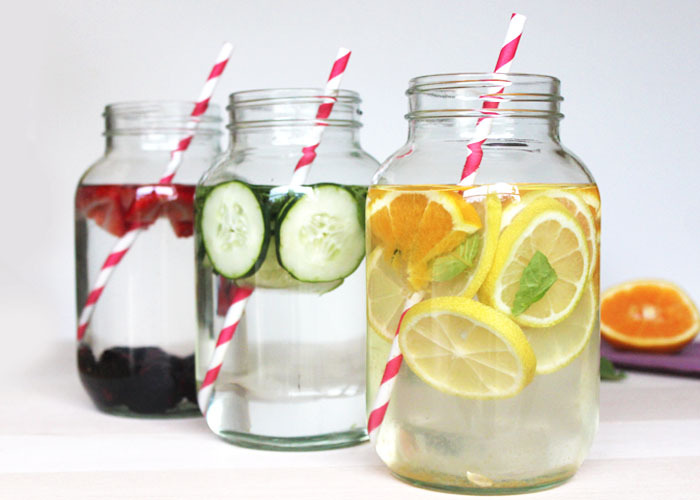 . .
Infused water is a nearly effortless way to add some flavor to your water routine while reaping some detox benefits in the process. I played around with different flavor combinations and came up with Berry, Cucumber Mint and Citrus Basil waters in mason jars that I can put a lid on and drink throughout the week. So refreshing! 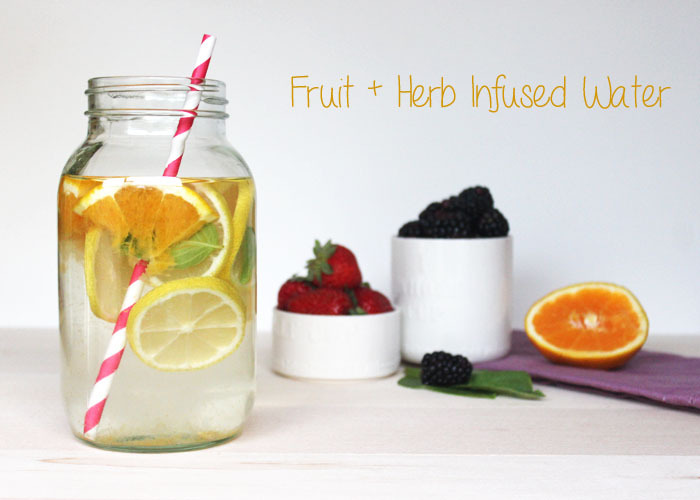 All you need to make your own infused water is some fresh/frozen fruit (yes, cucumbers are fruit) and fresh herbs. 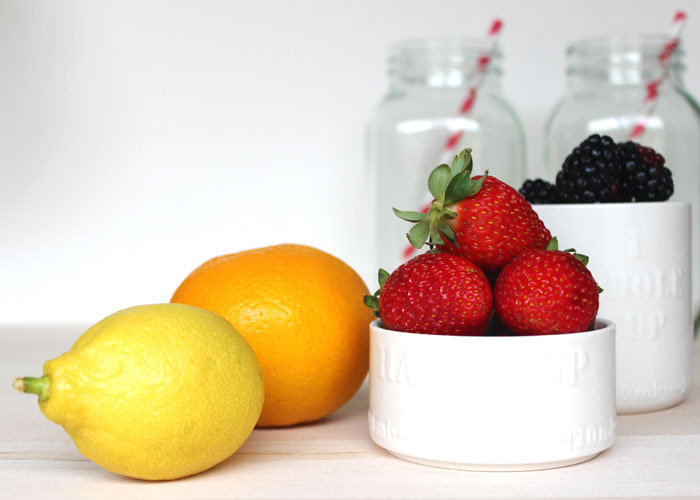 Place your fruit and herbs in mason jars or a pitcher if you’re making a big batch and pour in cold filtered water. Feel free to drink up immediately or let the water sit over night to release more flavor. TIP: Go easy on the herbs. They should only add a hint of flavor next to the fruit. I love these homemade infused water varieties, they’re pretty and don’t have all the junk the store-bought stuff is full of. I love the things you do, sweet Sophia!